Volleyball is a tactical team sport that involves hitting a ball over a net using closed hands. The object is to keep the ball volleying over the net without permitting it to touch the ground. A point is earned each time a player grounds a ball in the opponents’ court. There are three disciples of volleyball for athletes with a physical disability: deaf, sitting and standing beach. Deaf volleyball is played by athletes with a hearing impairment. Sitting volleyball is played by athletes who have a disability that severely impacts the function of their lower limbs. Standing Beach volleyball is played by athletes with milder impairments, who are able to stand, run and lunge without assistance. Sitting volleyball has been part of the Paralympic program since 1980. It is the only discipline of volleyball played at the Paralympic Games. Standing Beach Volleyball commenced around 2011 with the first World Championship held in 2014 in Adelaide, Australia. The International Olympic Committee introduced Deaf Volleyball into the Deaflympics in 2001. Deaf Volleyball can be played indoors or outdoors. The rules are near identical to the able-bodied sport, played in the Olympic Games. The only difference is a red flag is used for signalling instead of a whistle. Sitting Volleyball is a modified version of able-bodied indoor volleyball for people with impaired lower limb function. The game is played on a smaller court with a lower net. For this reason, it is a faster game than able-bodied volleyball. Players must keep one buttock in contact with the floor at all times during play. Sitting volleyball is scored by a game, set and match system. A game is the first to 25 points. There are five games in a set, so a match is best-of-five. There are special rules relating to time-outs for repair of prostheses. 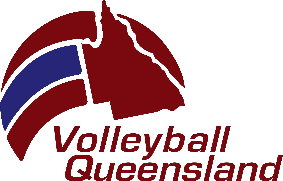 Please click here to download the Rule Book from Australian Volleyball Federation that is used at national events. Please click here to download the Rule Book for Standing Beach Volleyball from World Paravolley that is used at national and international events. Deaf Volleyball can be played both indoor and outdoor under the same rules as able bodied volleyball. A person may compete in Deaf Sports if they have permanent hearing impairment. Classification and criteria are at http://www.ciss.org. Sitting Volleyball is played sitting on the floor with lowered net heights (men = 1.15m, women = 1.05m) and a smaller court size (6mx 10m). This makes for a quicker game to both play and watch. There are 2 main rule differences; players can block the serve and players cannot lift off the floor when playing the ball. Players are classified according to the degree of disability (Disabled or Minimum Disability). Standing Volleyball is played under the same standards as able-bodied Volleyball played with net and court size as per Olympic Volleyball. Players are classified according to the degree of disability (A, B or C with the latter having most disability). There is a maximum of one A class player and a minimum of one C class player on the court. To get classified complete the “Get Classified Form” on the Australian Paralympic Committee website. Disabled volleyball is an all-inclusive team sport. The rules are similar to traditional volleyball so athletes play alongside able-bodied individuals. This fosters an amazing sense of integration and comradery. Get involved now by contacting your local affiliation. Volleyball is played recreationally in most schools. Specialized clubs offer professional coaching and competitions to athletes with a physical disability. To find the nearest club, please contact your state affiliation listed in “Who Runs the Sport”. Players start by joining their local club and doing a developmental program. Talented players are then selected to represent their club and participate in local and state competitions. Each state’s association selects their team to compete in the National Championships. The Australian Paralympic Committee is responsible for selecting the team to represent Australia in the Paralympic and World Championships.  To find out more about the competition pathway please the state office listed below under “Who Runs the Sport”. Volleyball Australia offers a referee education & development program. No prior knowledge or qualification is required to enter the developmental pathway as a beginner referee. Volleyball Australia offers a Level 1 Refereeing Course and a Level 2 Refereeing Course. To officiate local competitions, a referee must complete the Level 1 course, which includes attendance at workshops and passing a theoretical exam. Referees then progress to state referee status after they have competently refereed a number of increasingly difficult games. State referees can become national referees through successfully completing the Level 2 refereeing course. The strongest national referees go on to complete an IPC accredited training program, which enables them to officiate international competitions. Medical classifiers: Currently registered medical professional (physiotherapist or medical doctor); with minimum 5 years clinical experience with people with physical disabilities. It is an advantage to have a background in shooting or classifying para-sports. Technical classifiers: Must hold a Bachelor or Master degree in sport science/ kinesiology / human movement science or other equivalent; and volleyball experience. It is crucial that classifiers have a strong understanding of volleyball. To ensure this, candidates must have experience in volleyball either as a participant, volunteer, coach or administrator. To find out more about the classifier pathway contact the Australian Paralympic Committee via email auspara@paralympic.org.au or phone +61 2 9704 0500. Please see our events page for any upcoming Australian events. Please see our events page for any upcoming International events. Volleyball Australia is the peak national governing body for disability volleyball in Australia. 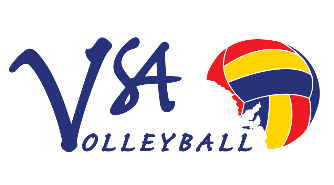 Please contact Volleyball Australia representatives directly for enquiries about Sitting Volleyball and Standing Beach Volleyball. Inquires regarding deaf volleyball should be directed to Deaf Volleyball Australia, an affiliate organization.